Finally available from Puccini, this popular design can now be worn as a bow tie! 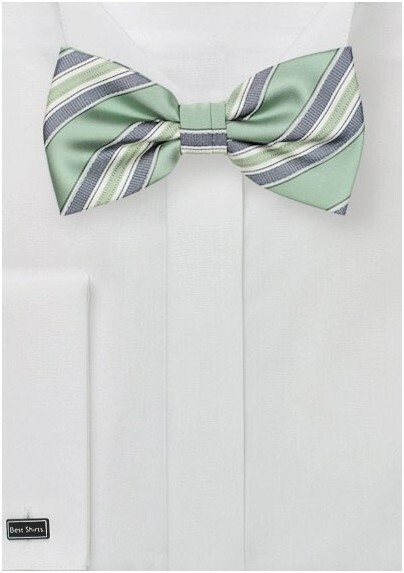 Sage green is a hot color this season, and the gray and white stripes perfectly compliment the background. 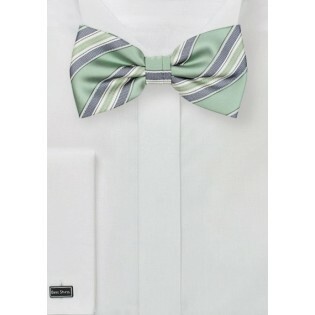 This bow tie is pre-tied for convenience and style. It adjusts with a strap that goes around the collar, which can range between 12 and 20 inches. It is made from a carefree microfiber material, which looks similar to silk but unlike silk is both durable and stain resistant.